NHS England is consulting on a new model of health and social care provision that could see multi-billion-pound contracts handed over to the private sector. The new restructuring plans could see the NHS managed by something called ‘Integrated Care Providers’ – a dangerous government plan to fragment the NHS, promote private contracts and put cost limits and profit before patient safety. KONP, along with HCT, JR4NHS and We OWn It have been compiling resources to help you oppose the ICPs. Please head to our post Integrated Care Providers: What they are and how to oppose them to find more details about what you can do. To give a simple explanation of what ICPs are we have also created this video aiming to cut through the government’s deliberately confusing jargon and expose why ICPs are so dangerous for our NHS. SKY and BBC News amongst others have been reporting that the government will soon announce plans to take the Royal Liverpool Hospital back into public ownership after the collapse of Carillion and the stalling of construction at the hospital. It was due to open over a year ago. These reports were confirmed on the 25 September and a ‘termination process’ will begin after the 30 September. This is such great news for Liverpool and a blow against PFI in general. Very well done to all involved. You can get in contact with Merseyside KONP via our local groups page. NHS England has proposed withdrawing 17 NHS clinical procedures contradicting existing guidance from NICE, the recognised authority advising clinicians on the current state of research evidence. In a public consultation which closed on 28 September, NHSE asked for views on proposals to withdraw clinical procedures including hysterectomy for heavy menstrual bleeding, and removal of benign skin lesions unless complex criteria are met. The 103-page consultation document gave the impression that the proposals are fully in line with NICE, whose logo appears on the cover, and that NICE was a source for the proposals. Press Officer Samantha has written a post showing how NICE guidelines were followed in only 2 of the 17 cases. It’s called Accident and Emergency for a reason – proposed measures to introduce a booking system in A&Es undermine the whole idea of ‘Accident and Emergency’. 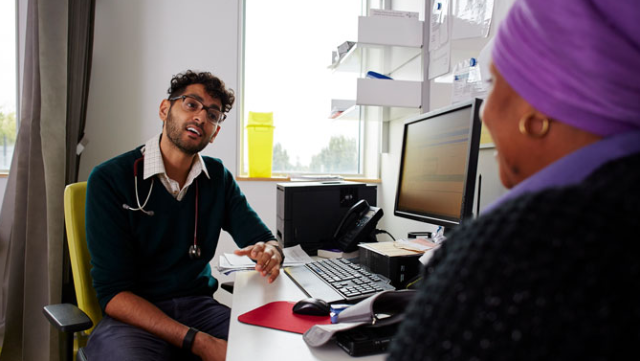 We already have an appointments system for non-emergency cases – it’s called general practice. KONP Press Officer, Samantha, has written an article about the proposed changes for our website. In it she discusses the inevitability of another winter crisis and the scrapping of the 4-hour target. Missed targets can, unsurprisingly, be traced back to government neglect. There are 5000 GP vacancies, too few hospital acute and mental health beds, too few A&E staff, departments are too small and there are delayed transfers of care for those requiring social care input. Read more about this shocking development here. 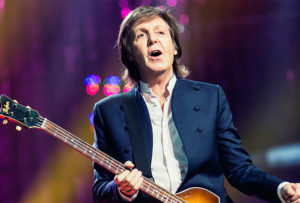 Great news in Sheffield! The hard work and persistence of local campaigners resulted in plans to close the minor injuries unit and city walk-in centre being shelved for at least two years. 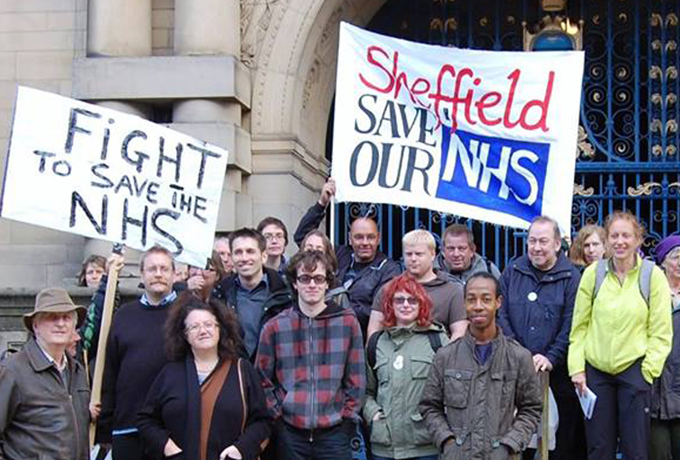 Sheffield Save Our NHS’s (SSON) tireless campaign saw them running street stalls and collecting thousands of signatures. They submitted a formal response to the consultation though these were not published in CCG reports. Petitions with about 10,000 signatures were handed in at the end of a consultation meeting in January, and in June a public reference group meeting was held to hear more from the public. This has resulted in the Primary Care Commissioning Committee voting to extend current arrangements until 31 March 2021 while they think again about how to address public concerns. This is a perfect example of how our campaigning at a local level can really pay off and we hope it can provide hope to other tireless campaigners that these fights can be won. KONP have written a post on our website with more details of the win. You can also read a formal response to the decision from SSON here. On Saturday 22 September over 1000 people attended a rally to save Liverpool Women’s Hospital from plans to relocate and downgrade the hospital to a smaller unit. My mother was a nurse in Liverpool and was, as am I, a great supporter of the NHS. The LWH is one of the largest maternity hospitals in Europe and it would be nice for it to be recognised as such and remain a specialised centre. KONP co-chair, Tony O’Sullivan, joined (amongst others) Labour MP Emily Thornberry, Labour MP and Shadow Secretary of State for Health and Social Care Jon Ashworth, and President of KONP ,Wendy Savage, in speaking at the demonstration. 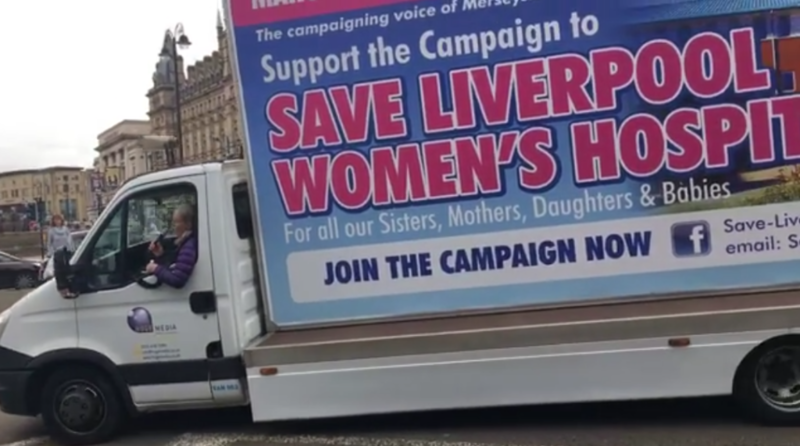 Thank you to all those who marched on the day in support of the Save Liverpool Women’s Hospital Campaign and against the closure of vital community hospital services. Despite the weather the atmosphere was joyful and defiant. Please see a full write-up including an excerpt from Tony O’Sullivan’s speech to the crowd in our post from last week. Please sign the petition asking the Home Office to grant a visa extension allowing Paul Ermitano to keep working at Poole Hospital and his wife Jamila to have their baby safely under NHS care. Paul Ermitano, a highly respected cardiac physiologist, and his wife Jamila, an experienced nurse, are Filipino citizens who gave up their careers overseas and came to Poole over 3 years ago to tackle staff shortages in our NHS. 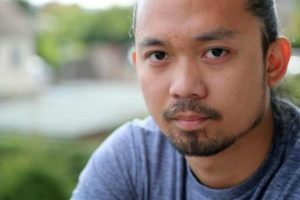 The Home Office are refusing to grant the family an extension on their visa stopping Paul carrying out the vital, life-saving heart scans that he is trained to do. They’ve been ordered to leave the country immediately. This decision has come about because they briefly accepted child benefit for their son. They’ve paid it back in full. The family have no means to support themselves financially and Jamila is due to give birth to their second child in 3 months’ time. Our new Health Secretary the Rt Hon Matt Hancock MP has put NHS workforce and efficiency at the top of his agenda. Therefore it defies common sense and decency that resources are being spent on ejecting these lovely and useful people. Home Secretary Sajid Javid should extend the stay of this family so they can safeguard the delivery of their unborn baby and continue their vital work for our NHS. Local campaigners in Shropshire have updated national KONP that the Care Quality Commission (CQC) issued an enforcement notice against SaTH over their poor record in maternity services. This comes after the Health Service Journal (HSJ) reported that the independent investigation by Donna Ockenden is now investigating over a hundred cases with the number expected to rise further. Simon Wright, the SaTH Chief Executive failed to mention the CQC action when he was being questioned by the Joint Health Overview and Scrutiny Committee. The alleged poor care includes the deaths of babies and mothers as well as stillbirths, and new-borns being left with significant brain damage. The cases are believed to span more than two decades with some of the most recent deaths taking place in December last year when a mother and two babies died in separate incidents. Shropshire Defend Our NHS has written an open letter to the non-exec Board members at SaTH. The Kirkup report on the Morecambe Bay deaths highlighted, too, a culture of denial. Is it possible that this has existed at SaTH? You will be probably be told on Thursday of ‘legacy families’ (rather than babies) and of ‘opportunities for learning’ (rather than deaths). This was the language used by your Director of Nursing and Midwifery at the Joint HOSC last Wednesday. Denial might be one way of describing this. To get involved in the campaign in Shropshire please head to theShropshire, Telford and Wrekin Defend Our NHS website or you can see the local groups page on our website for group contact details. This autumn, 999 Call for the NHS will be in the Court of Appeal for a 2-day hearing of their appeal against NHS England’s Accountable Care Organisation contract. The Court of Appeal granted them permission on all the seven grounds they applied for, to appeal the High Court ruling that dismissed their Judicial Review claim. The Court of Appeal also granted them capped costs because the NHS is important to the public, and the complexity of the legislation means their case is worthy of consideration at a higher level than the High Court. They now need to raise £18K which will be used to meet the capped costs limit that we would have to pay NHS England if they were to lose the appeal. Please consider supporting them in their vital appeal by contributing to their crowdfunder. This government and the previous coalition have set out to dismantle the welfare state and destroy all our public services with £billions in cuts and privatisation. Tens of thousands of campaigners round the country are fighting to stop them. 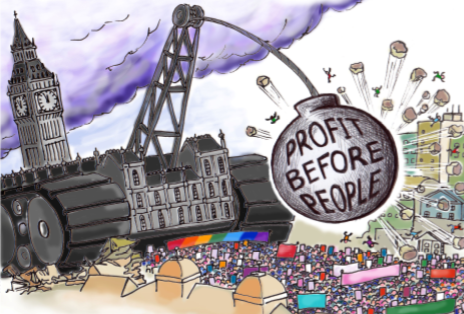 The march will bring together communities from across Brighton and Hove and beyond in a huge show of solidarity to tell the government, and Brighton and Hove Council that we will not accept our public services to be attacked in ways that deprive people of basic rights and even kill them. 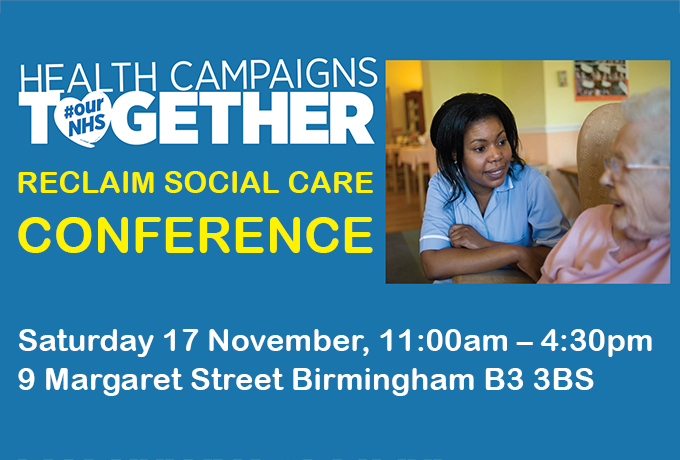 Organised by Health Campaigns Together, this conference is a great opportunity to take forward our thinking and campaigning around social care following the commitment made at the KONP AGM in June. 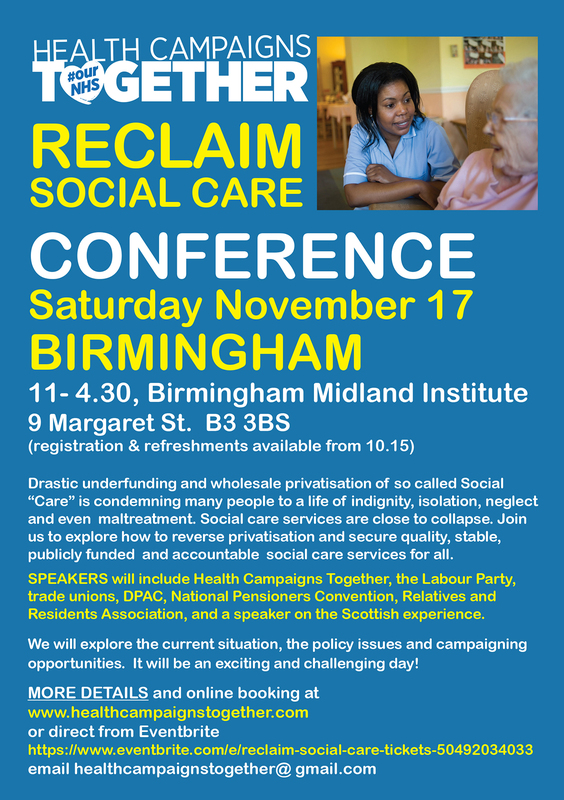 Then there will be a range of contributions from campaign groups and trade unions fighting for better care, dignity, the ethical care charter, proper wages, better conditions and training for care staff, support for carers amongst other things. Please see our website for more infromation about why this conference is vital. We will soon have a new leaflet available from our shop. It will focus on ‘health tourism’. Please keep an eye out on our website. Scrap the ICP contract: Rally and petition to save the NHS!